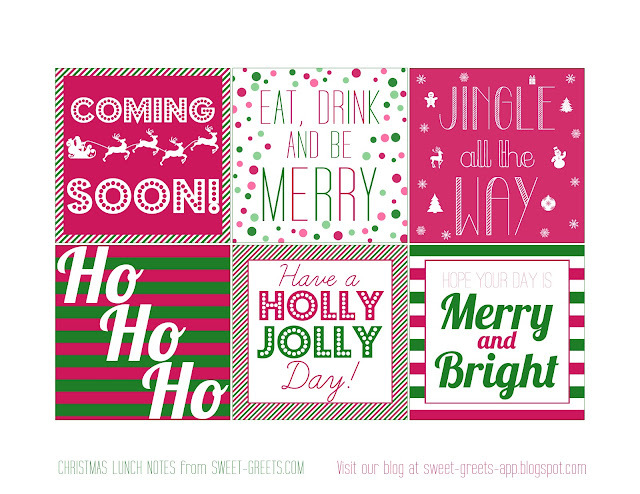 Just in time for the first week of December, here is a set of printable Christmas-themed notes to send in your loved ones' lunch bag. I had fun making them, and I hope whoever opens their lunch box to find one of these notes will experience the same holiday cheer! Just click on the image above to download. Merry Christmas!